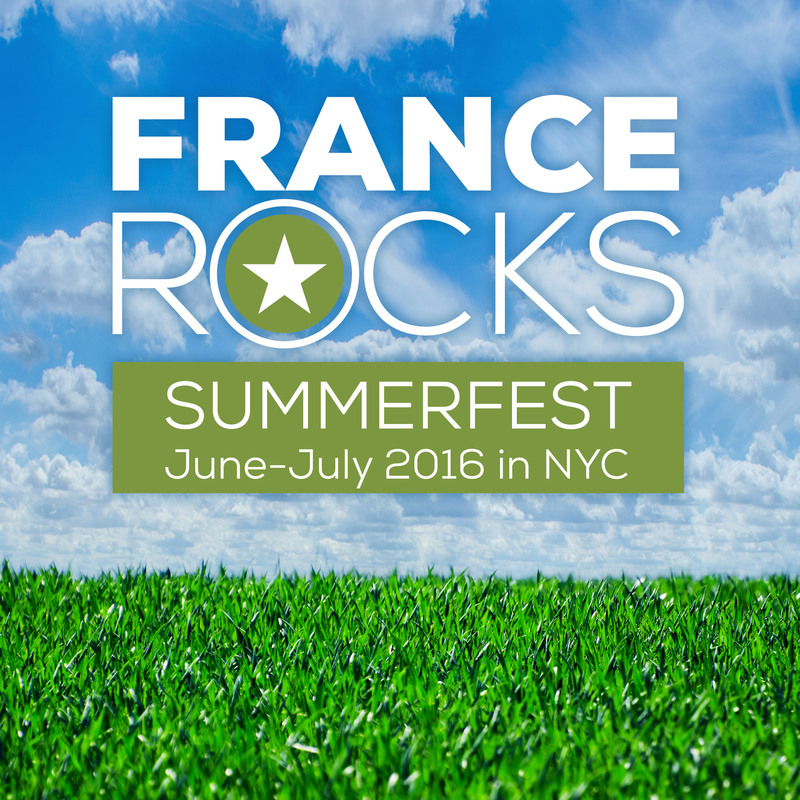 New York, NY-May 17, 2016—New York City music lovers will get to experience a wonderful array of French music this summer when the new French music festival FRANCEROCKS SUMMERFEST launches June 3-July 23. The seven-week festival—the largest in the US—will showcase the expansive wealth of diverse musical talent coming out of Paris, with over 30 artists spanning genres from indie pop, rock and electronic to jazz, swing and world music, performing free and ticketed shows at over 25 venues ranging from Central Park Summerstage and Celebrate Brooklyn to the most intimate performance spaces throughout New York City. The festival was created as part of “Tandem Paris-New York 2016,” a large-scale transatlantic cultural exchange between Paris and New York. Presented by the Cultural Services of the French Embassy and Bureau Export with the support from the Institut français and la Ville de Paris (City of Paris), FRANCEROCKS SUMMERFEST will bring together a mix of acclaimed established artists such as Rachid Taha, with exciting emerging bands such as Her, Beau and Club Cheval. Standout shows include the blues-hip hop quartet Scarecrow at Drom on June 17; an excellent Fete de la Musique lineup featuring Yael Naim, the infectious grooves of General Elektriks, the French touch of La Femme and not-to-be-missed French legend Charlelie Couture at Central Park SummerStage on June 21; soulful r&b/jazz/pop singer-songwriter Ayo at Lincoln Center Atrium on June 23; Lisa Simone, daughter of Nina Simone, performing at Herbert Von King Park as part of SummerStage on June 28; and the stunning young jazz vocalist Cyrille Aimée at Joe’s Pub on July 6.